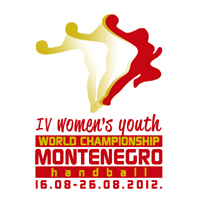 From 16 to 26 August, the final round matches of the IHF Women’s Youth World Championship will throw-off in Montenegro. 20 national teams spread across 4 Groups are competing for gold. The matches of both the group stages and the final stages of the tournament will be held in Podgorica and Bar, Montenegro. There are 12 teams from Europe, including host Montenegro, competing at this year's tournament. Sweden as defending champions will want to reproduce the same form from the 2010 tournament in the Domincan Republic. The Group matches from Groups A and C will be based in Podgorica, Montenegro and Groups B and D will take place in Bar, Montenegro. All the matches will be streamed live across the world on the official webpage. The full match schedule can be downloaded here. A complete overview of the event can be accessed here including the rules and regulations of the event, accommodation and hall information, financial information plus much more.